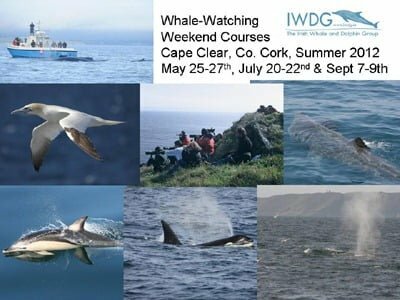 If you’re looking for a fun, educational wildlife weekend check out the Irish Whale and Dolphin Group’s summer whalewatching courses. Cape Clear Island in West Cork offers a fantastic vantage point for shore-based cetacean watching amidst fantastic wild scenery. That’s why it’s the IWDG’s destination of choice for their popular summer whale watching courses. This year’s courses run from 25-27 May (at the time of writing there are a few places left on this course), 20-22 July and 7-9 September. 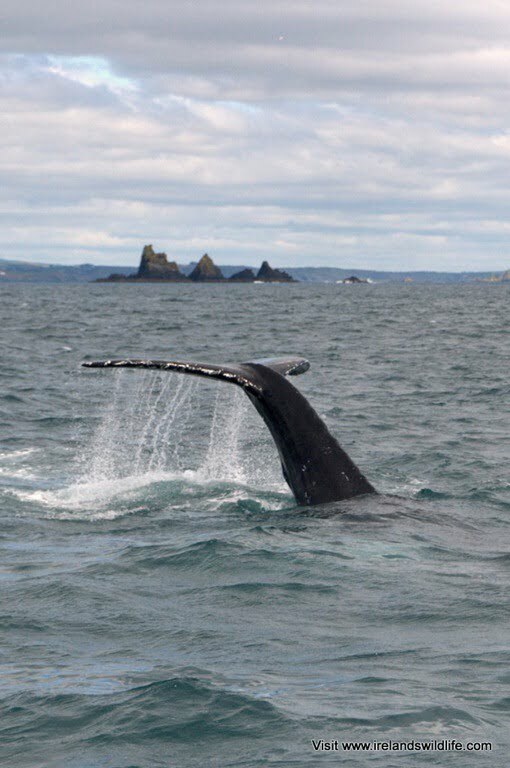 These relaxed weekends combine an enjoyable learning experience on one of Ireland’s most stunning offshore Islands, with an opportunity to see some of the 24 species of whales and dolphins that can be seen in Irish waters, as well as basking sharks, seabirds and other marine wildlife. Suitable for ages from 16 upwards, the course caters for all levels of interest, from the complete cetacean novice to the avid wildlife enthusiast. The course combines classroom based presentations on cetacean identification with guided shore-based watches that will teach you the field-skills needed to find, observe, identify and record these magnificent marine species. The highlight of the weekend is a boat-based whale watch trip (weather permitting), with skipper Colin Barnes on the MV Holly Jo. Colin is widely acknowledged as Ireland’s leading Whale Watch operator, and has featured with IWDG on RTÉ’s wildlife documentaries “Wild Trials”, “Living the Wildlife” and “Wild Migrations” and more recently on the BBC’s flagship wildlife show Autumnwatch. During the trip we will survey the productive waters out to Ireland’s most southern point, Fastnet Rock, and beyond. The course costs €90 per person, which includes tuition, guided land-based watches, a year’s IWDG membership and a resource pack.